Creating a block is a basic task that every AutoCAD user should know. But even if you’ve been using blocks for years, I think that you’ll find the links at the end to more advanced tips helpful. Put together, these tips make up an advanced tutorial on blocks. What is an AutoCAD block? You can insert them again and again, saving time. In fact, you can insert them into other drawings as well. A block uses less electronic space than individual objects, so your drawing file is smaller. By updating a block’s definition, you can update all the blocks in the drawing. Note: Dynamic blocks are blocks that have added parameters that function in certain defined ways. Look at the end of this post for links to some posts on dynamic blocks. 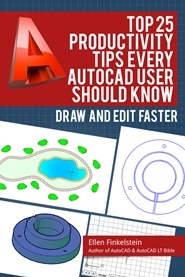 Plus get free tips in our AutoCAD Tips Newsletter! Get a free tutorial on creating a complete dynamic block, including a drawing to practice on. You'll make a movable chair, resizable desk, and more. 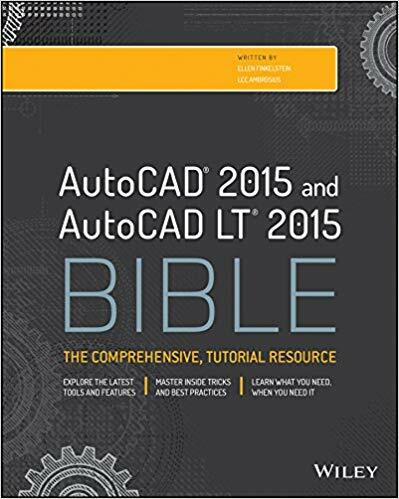 PLUS, the highly-acclaimed AutoCAD Tips Newsletter will keep your skills up to date! Draw the objects that you want in the block. Choose Home tab> Block panel> Create to start the BLOCK command. 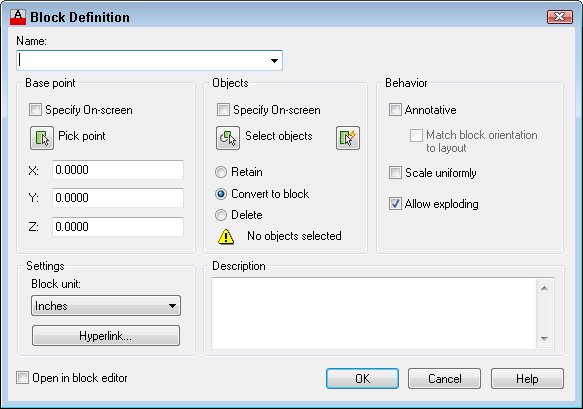 The Block Definition dialog box opens. Type a name in the Name text box. The name can have spaces. You need to specify a base point. That’s the point at which you’ll insert the block. In the Base Point section, click Pick Point. Be sure to use an object snap for accuracy! You’ll immediately be returned to the dialog box. In the Objects section, click the Select Objects button. Select the objects and press Enter to return to the dialog box. Tip: You can select the objects before using the command and they’ll show up in the dialog box. Just below, choose Retain, Convert to Block, or Delete. These options control what happens after you create the block. In the Behavior section, you can make a block Annotative (more info here), force it to scale uniformly and choose whether to allow exploding. In the Settings area, choose the block unit. You can choose Unitless but if you choose a unit, AutoCAD will try to scale the block appropriately when you insert it into another drawing. You can also add a hyperlink if you want. Finally, you can add a description in the Description box. A description is helpful in the DesignCenter, when you want to insert the block from another drawing. Click OK to complete the box. If you chose Delete, the objects disappear. You can use the OOPS command to bring them back. Next time, I’ll cover the process of inserting a block. On which layer should you create blocks? Dynamic blocks in AutoCAD–When and why? Those should keep you busy for a while, but there are more! Go to my blog’s home page and enter blocks in the Search box to find them all. Do you have any tips for creating blocks? Leave a comment! i have created my blocks and they worked just fine, until today. It will only let me use a few of the blocks but not all. why is this? Is there any way to create a block that you cannot use object snaps on? Yes before creating the block lock the attributes and this will turn the grips off. Where does our blocks save to where? under autodesk folder? I like create blocks where I save to so I will have a list of them. Thanks a lot Ellen Finkelstein for showing how to create a block in autocad. I am learning autocad. Your post helped me a lot to create block.Keep sharing..
thank you so much Ellen above explanation was very helpful for us who are learning autocad. thanks, It is useful block site where you get some useful tips. where do the blocks save to. i can’t find the 1 i made. I am a civil Engineer Hammad, I am so excited when I see your website, its great effort that field and great earing from blog writing and must provide the knowledge about this blog.